Sophie will publish The Color in january 2012, and Indiana 2 in march. Tara 10 will follow in september. With a bestselling saga and an animated series, you would think a writer would be too exhausted to do much more… Well, that’s not Sophie. Enter her many original otherworlds! 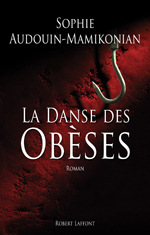 This new novel, first of two, will be published January 5th 2012 in France, and is described by Sophie as a "metaphysical thriller." Savagely murdered at the age of 23, Jeremy turns into an Angel in the Afterlife, and he realizes with horror that he can die again in this new universe. Indeed, to avoid death, an angel needs to feed on human feelings... and even create them ! Invisible and intangible, Jeremy decides to investigate on his death. He tracks Allison, a living 20 year old girl, witness of his murder. Being around this gorgeous young woman night and day eventually sees him falling in love with her. But Jeremy's murderer tries to get rid of this annoying witness. While angels unite angainst him, will Jeremy be able to save Allison ? Will he be able to deny his feelings and to live for ever away from her ? 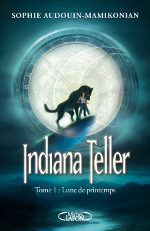 Published in France (so you can even order it and get a A+ on your next test), Indiana Teller: Spring Moon is the first book of a tetralogy (four books). Forget what you may have heard about werewolves, because Sophie has taken a brand new approach on this popular myth. At eighteen, Indiana lives in a werewolf clan. This would be cool… if only he was one. And how do you live normally when everybody around you is stronger, faster and hungrier than you are? Well, you go to college and try to get yourself a normal life. Which is easier said than done, because even though he is not a werewolf, Indiana is the only heir to the chief of their clan. An heir that could be easily crushed, broken, dismembered, or even worse… But if Indiana is not a werewolf, he is something else, that is definitely not human… and maybe something even more dangerous? Click on the scoop to discover the first chapter (in french) of this new saga ! Thriller or comedy ? Well humor and macabre are tightly mixed in this frightening and yet hilarious thriller which is more adult oriented than Sophie’s other work. Meet Elena, a nice girl torn between disgusting crimes to resolve, and love that finally knocks on her door. But with an “obese killer” who loves staging his murders, and who literally cooks his victims, does she really have the time for romance? And what if those horrid crimes were hiding an even more horrible motive? Here comes a tasty thriller you’re sure to devour! A little sister of Tara Duncan. Clara was first an illustrated book for kids, introducing kids to the wonderful possibilities offered by figures of speech. She has since became a famous character, who now has begun a singing career! 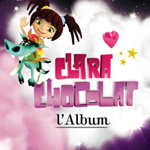 Voiced by Marine Audouin, Sophie’s younger daughter, Clara’s first album is a real success among the youngest!